Record all employee placements & their entire assessment history. Gather loose ends into one detailed revenue report. See details on billing rate, gross margin, & more. And see all the details in one clean, actionable view. And generate comprehensive reports to gauge profitability. Get actionable insights into billing rate, pay rate, net margin, etc. And access full candidate profiles from your pocket. Tracking employee placements can be an overwhelming task, especially if you have hundred or even thousands of employees. TalentHire’s Placement portal helps, by recording all placement information and the assessment histories of all employees. The placements dashboard acts as one detailed revenue report, providing insight into billing & pay rate, gross margin, and net margin per employee. Once you’ve discovered everything you need, generate a comprehensive report with the click of a button to be able to share that information with whomever you need. 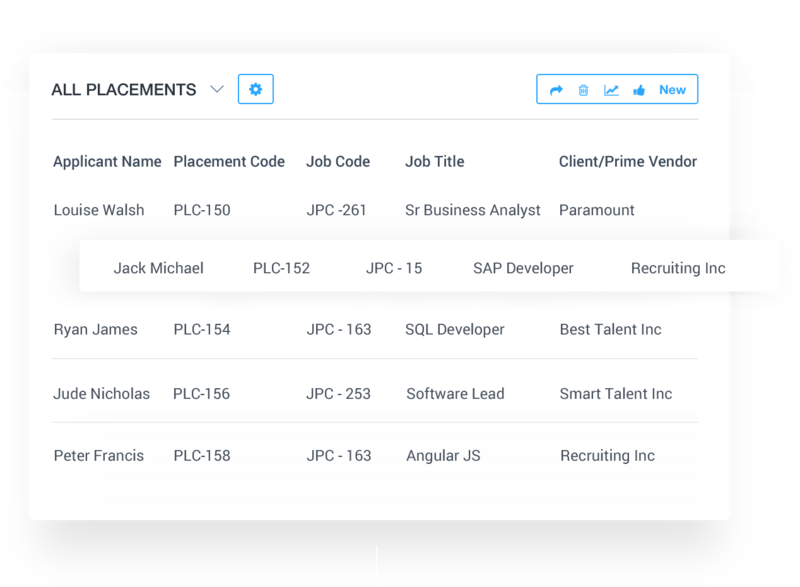 Of course, you can personalize the Placements module with custom project end reasons, exemption statuses, and placement settings. You can even set up automatic email messaging through various integrations to alert specific members of your workforce about when placements begin and end. Placement expenses can end up being intensive and extensive, and sorting through it can turn into a jumble of numbers. 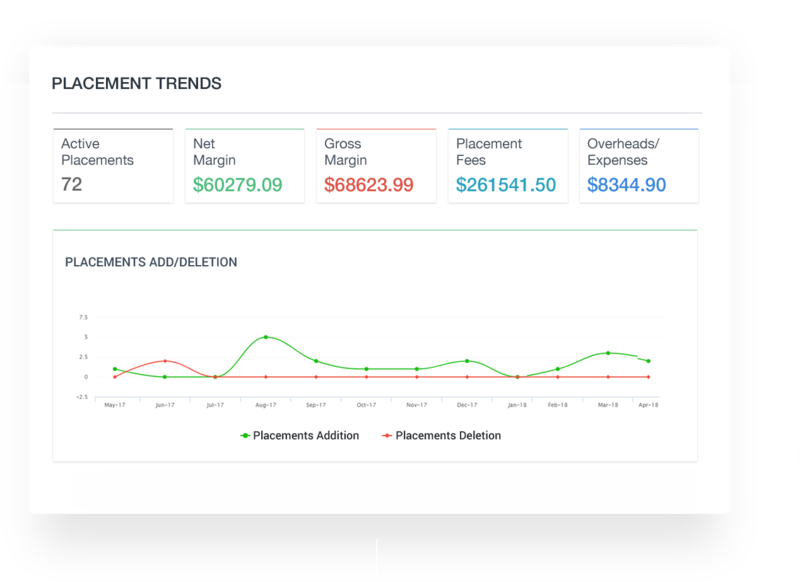 To combat this, TalentHire’s Placement module offers one place to view “trends”, which visually show placement additions/deletions and summarize the highest and lowest net margins across companies. Once you’ve looked at the reports, customize the timelines to gain insights into this quarter, last year, or your entire companies’ lifetime, that choice is up to you. The type of expense is also recorded, and those can be whatever you set them to be. Pay roll tax and admin costs? Sure. Tech expenses and insurance? You’ve got it. Personalize the expense types to fit your needs.